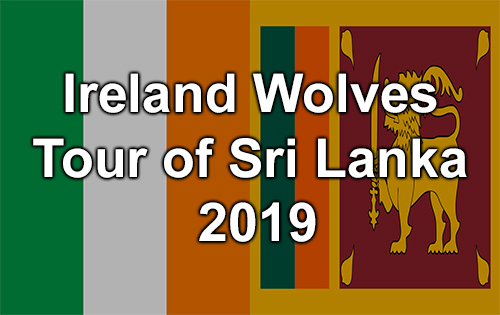 Sri Lanka A wrapped up a 10-wicket win over Ireland Wolves early this morning, however, Wolves captain Harry Tector believes that his side can take the learnings from this first match and look for an improved performance in the second game of the series starting on Sunday in Hambantota. 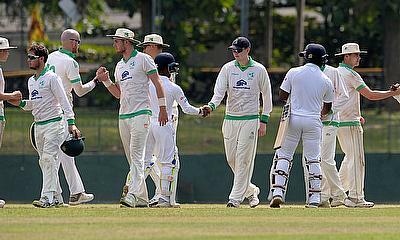 Resuming their overnight total at 182-9, the Wolves’ last pair of James Cameron-Dow and JJ Garth added 14 runs before the last wicket fell – setting Sri Lanka A a small target of 42 runs for victory. The Sri Lankan openers completed the task in the seventh over and gave the home side a comfortable 10-wicket win. "It's pretty disappointing to end it early in three days, but I think for quite the young side that we are we've learned a lot from this four-day game. We'll look to carry that learning into the next game at Hambantota which will be massive." "We probably let ourselves down in the first innings - we were hoping for high 200s, closer to 300 in the first innings. It’s what you need out here, you need to post a big total in the first innings and we didn't do that. Ultimately that was where we let ourselves down, and from there we were chasing the game." Sri Lanka A now have a 1-0 lead in the series, with the second four-day game starting on Sunday 13 January 2019 at the Mahinda Rajapaksa International Cricket Stadium in Hambantota.